Earlier this month Apple poached Timothy Twerdahl from Amazon, where he had headed up the Fire TV unit, to serve as VP in charge of Apple TV product marketing, raising hopes that Apple is gearing up for another try at transforming Apple TV from a hobby into a meaningful product line. But if so the transformation won’t be immediate. 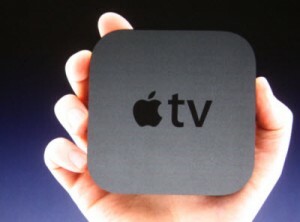 Apple is reportedly testing the next iteration of the Apple TV set-top box, which could be released later this year. But early indications are that it will be another study in incrementalism, adding support for 4K streaming but no groundbreaking new functionality. Bundled media services are becoming table stakes in the wireless business. With plain old wireless service (POWS?) at or close to the saturation point in the U.S., wireless operators are increasingly fighting over slices of a fixed pie, and feel a growing need to differentiate from their competitors in pursuit of market share. With the costly build-out of 5G networks looming, operators also need to increase ARPU by adding services. 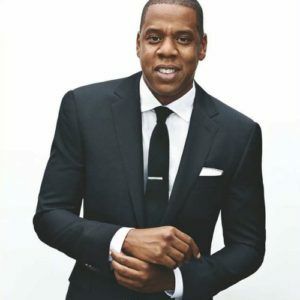 Thus, it was no big surprise this week when Softbank-owned Sprint snapped up a 33 percent stake in Jay-Z’s Tidal music streaming service. Sprint already had a partnership with Tidal, but as MIDiA Research analyst Mark Mulligan noted in a blog post, the bundling game has changed for wireless operators, and meaningful differentiation increasingly means having your own skin in it. It likely won’t be distributing it through DirecTV, however, at least not via satellite. According to an earlier Bloomberg report, AT&T will begin phasing out DirecTV’s satellite platform within the same 3 to 5-year window, with any eye toward making internet streaming its primary TV platform by 2020. The company has lately been lining up carriage deals ahead of its planned launch of its DirecTV Now over-the-top service later this year. And it has been aggressively steering its wireless customers toward DirecTV by bundling unlimited wireless data plans with a DirecTV subscription, which so far has been taken up by some 5 million of its wireless subscribers. Amazon this week has left little doubt as to the scale of its ambitions in over-the-top video. Just days after Amazon-owned Twitch announced plans to roll out new tools for uploading on-demand content to the platform to better compete with YouTube, the e-commerce giant declared war on Apple and Google for supremacy on the set-top. 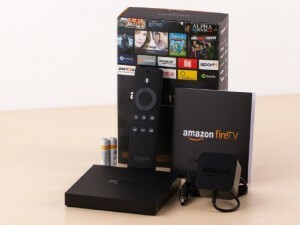 In a memo to Amazon Marketplace merchants, first reported by BloombergBusiness, Amazon said it would stop selling the Apple TV set-top box and Google’s Chromecast streaming dongle, both of which compete with Amazon’s own Fire TV STB and Fire Stick dongle. No new listings for Apple TV and Chromecast will be accepted the memo said, and listings for existing inventories would be removed as of Oct. 29th. According to the memo, the items are being removed because they are not fully compatible with Amazon’s Prime Video streaming service. 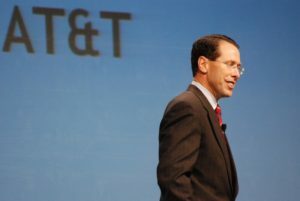 AT&T officials offered some pretty eye-popping numbers this week on the impact of the DirecTV acquisition on the bottom line. Speaking at the Goldman Sachs Communicopia conference in New York AT&T CFO John Stephens said DirecTV pays $17 a month less per subscriber in content costs “on an apples-to-apples basis” compared to what AT&T has been paying per U-Verse subscriber. AT&T is now working to “bring those prices in line” by moving everything to “the most efficient contract pricing in the house,” which is the DirecTV price. “So with 6 million U-Verse subscribers you can get your head around about $100 million a month,” in savings, he said, or $1.2 billion per year. “That’s sort of the easy math on how you can conceptualize the scale” of the savings. Conventional wisdom in the video industry has long held that programming preferences were closely correlated with screen size. 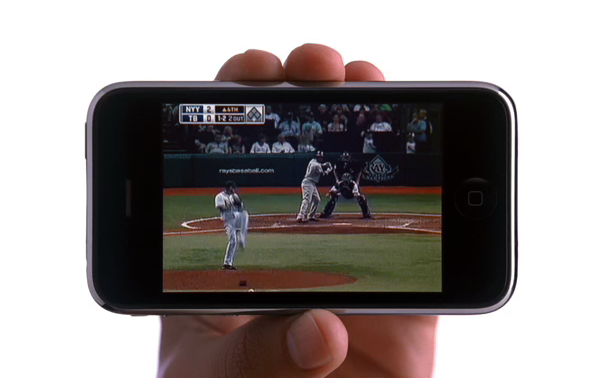 Thus, smartphones, with their small screens, were best suited and most widely used for short-form video “snacking,” apart from the occasional live stream of a sporting event or other time-critical content being watched away from home. Long-form programming such as movies and TV shows were preferentially watched on the big-screen TV in the living room. Tablet viewing was somewhere in between. Screen size is being democratized by online video content. Online viewers are spending more time watching long-form content over ten minutes in length than ever before. More than half (59%) of the time people spend watching video on tablets is spent with video 10 minutes long or longer. That’s the most of any device, trailed by connected TVs (43%), mobile phones (37%) and PCs (35%). For content up to 10 minutes in length, once the domain of mobile phone snackers, PCs surprisingly had the highest percentage of viewing time spent in Q1, 65%, closely followed by mobile phones (63%), connected TVs (57%) and tablets (41%).